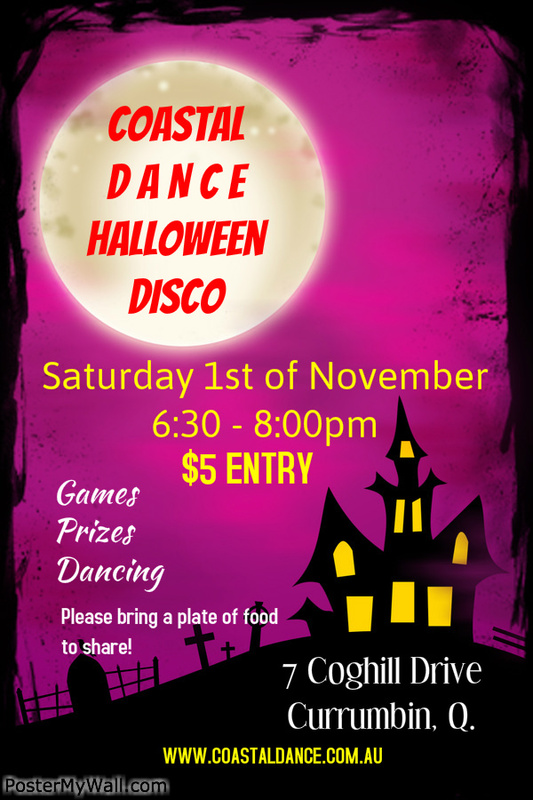 We will be holding our 3rd annual Halloween Disco on Saturday the 1st of November from 6:30 – 8:00pm. Entry is $5 & students are asked bring a plate of food to share. The event is open to students of Coastal Dance & their friends. This is a great night for the kids to socialise outside of dancing & they always have lots of fun. Prizes for the best dressed!